Push these balls into the surface of your buttercream in rows around the body look at your real life pictures for an accurate placement. Your bird should now look utterly ridiculous. Cover your cake in one piece with thinly rolled marzipan. 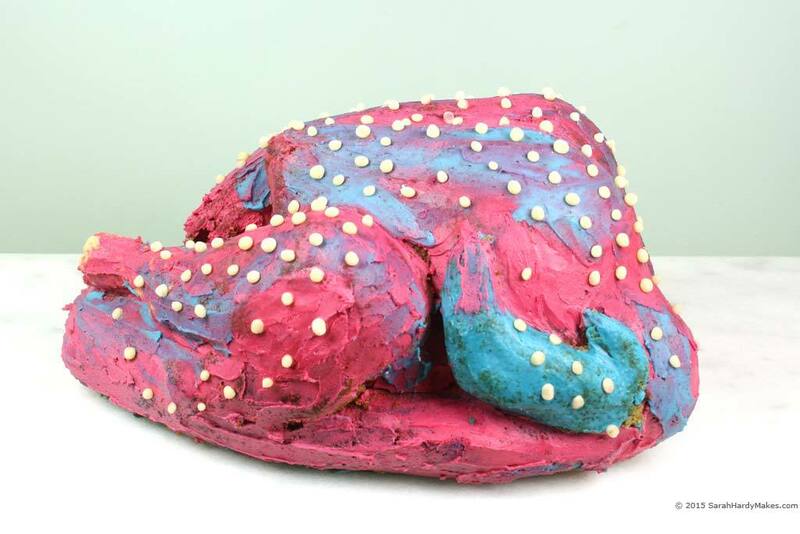 There is no denying that this bit is tricky but a marzipan turkey is a wonderfully forgiving bird as any rips or holes can be filled and made to look like realistic ripples, stretched skin and lumps. 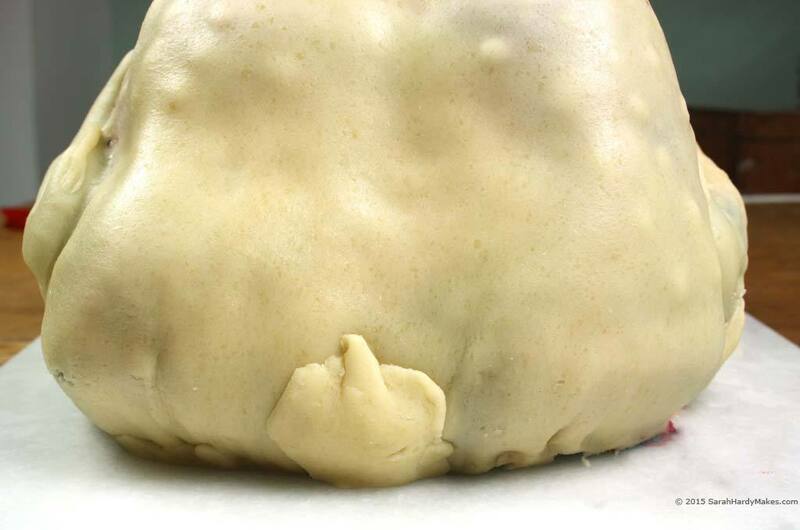 Below is an example of me filling a rip around the leg with a sausage of rolled marzipan and smoothing it in with my warm hand and a rounded tool. 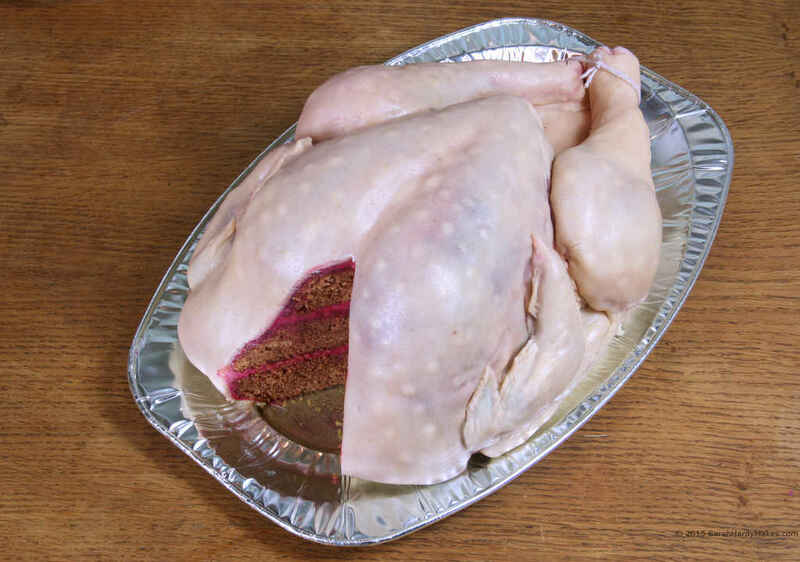 It sticks to itself nicely without need of glue or frosting. Add details of plucked wing tips, stretches and the like by sticking on blobs and sausages of marzipan and tooling them with a blunt knife or Dresden tool if you have one. 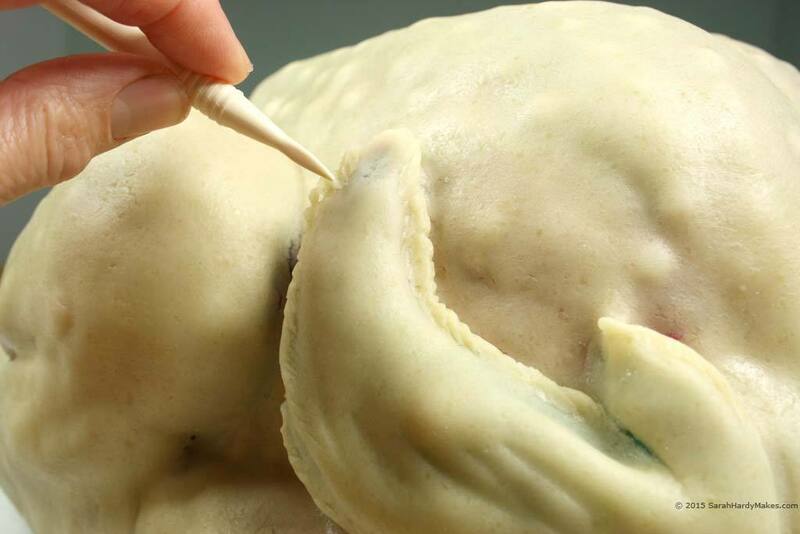 Add a semi circular section of thinly rolled marzipan for the neck-flap and pinch it to make it look irregular. 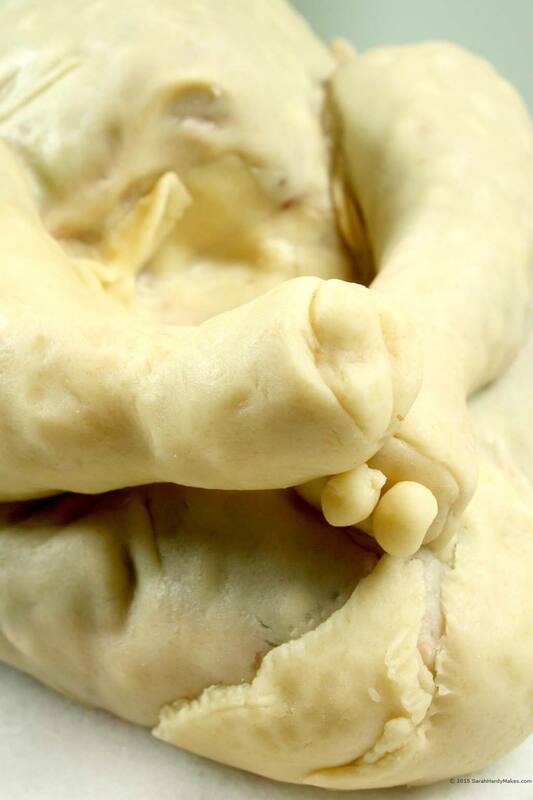 Roll four balls of marzipan and smooth them onto the ends of the crispy treat legs to make the knuckle joints. 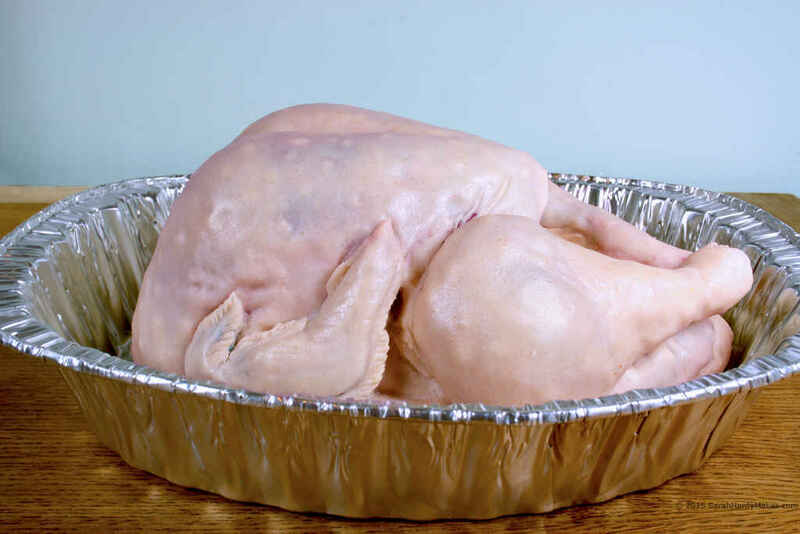 Glaze your bird with syrup just before serving to keep it looking glossy. 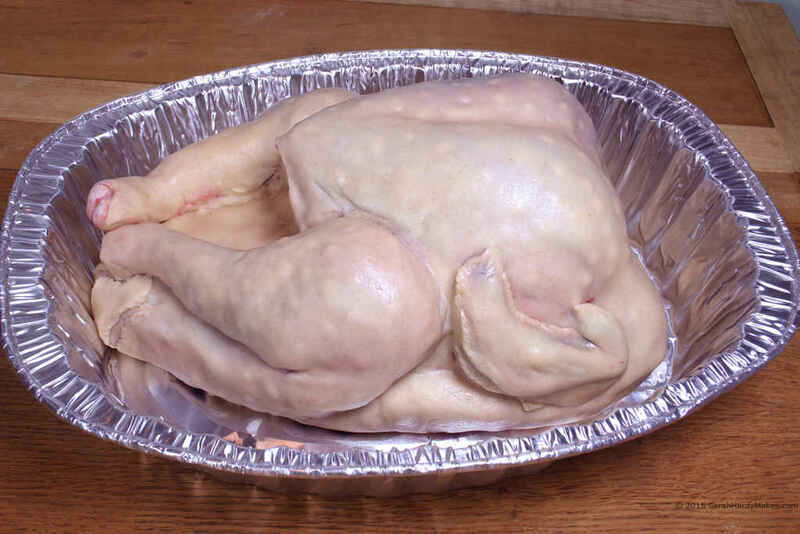 Now, make sure take a pictures of your turkey and add them into the comments section below so I can see them!